The legend of FloJo was created in Indianapolis’s Michael Carroll Stadium. The next state in our tour of America’s track stadiums is Indiana. The biggest track stadium in Indiana is this classic downtown facility on the campus of IUPUI – a college that didn’t even have a track team until a few years ago. Indianapolis remade itself in the early 80s as America’s amateur sports capitol, and organizations that relocated there included the NCAA and USATF. This stadium soon followed, and hosted the 1987 Pan-American Games and 1988 Olympic Trials. 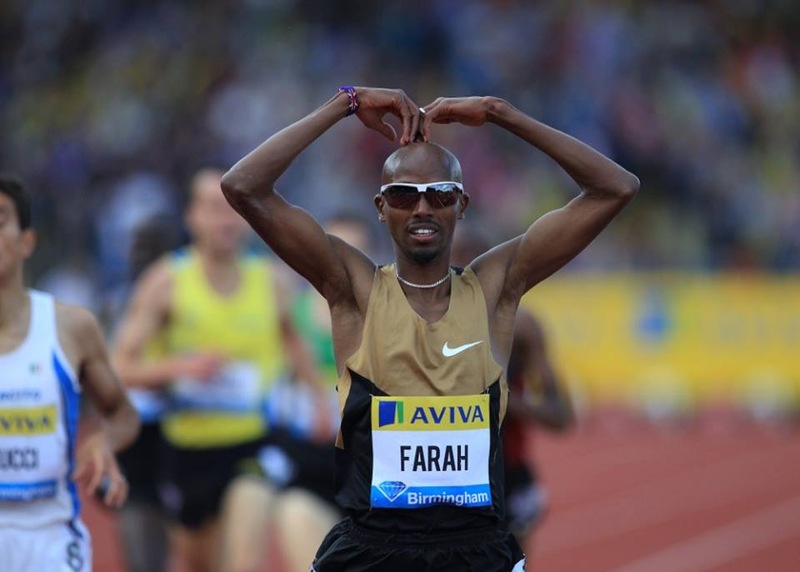 Its record attendance of 13,796 came at the final day of the ’88 Trials, the meet that introduced the world to FloJo. 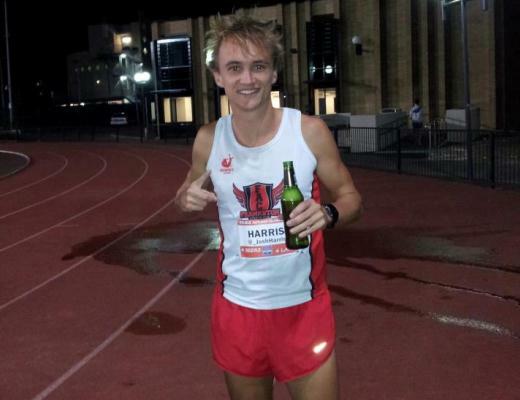 The stadium, which is also the Hoosier State’s largest track-specific facility, was also the site of one of college track’s most bizarre and tragic incidents. During the 1986 NCAA Championships 10,000 meters, North Carolina State’s Kathy Ormsby ran off the track and out of the stadium, climbed a fence, and jumped off a bridge into the river that runs behind the stadium. She survived but is paralyzed, and has little memory of what happened and doesn’t know why she did it. 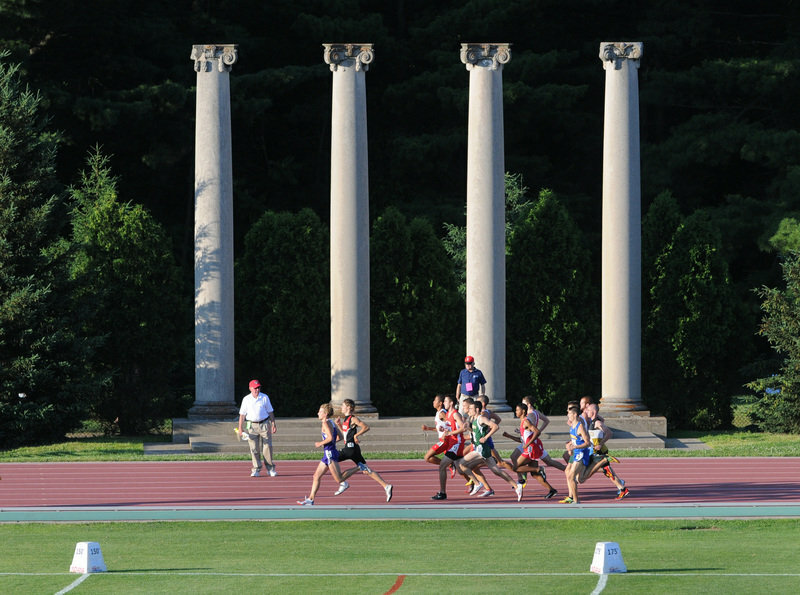 Billy Hayes Track at the University of Indiana, the host of the annual Indiana high school state championships, was built with style. The Hoosier Dome was almost too big for indoor track meets, but the crowds came out there. 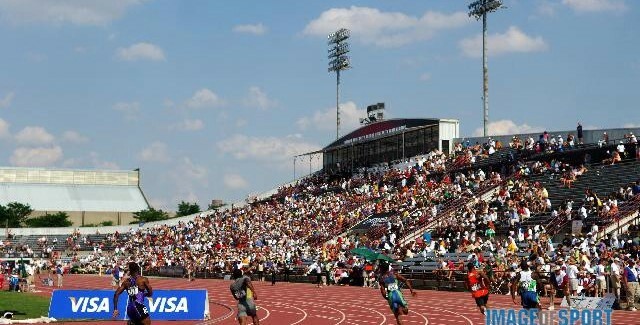 The NCAA indoor championships were at the Hoosier Dome from 1989 to 1999, and final-day attendance was in excess of 10,000 for most of those years. As far as I know, the two largest single-day attendance marks in Indiana history were at the Hoosier Dome: the last two days of the 1987 World Indoor Championships (20,023 and 20,971). The Hoosier Dome’s replacement, Lucas Oil Stadium, now hosts one of America’s most popular track and field meets: the NFL Combine. I have run a few AMC HP meets at IUPUI & the two or three times my college track coach has told me the ledgendary story that at this Staduim Carl Lewis once long jumped 30 feet (30-2 or 9.19) but the official ruled this foot was over the board, even though her didn’t leave a mark. That was the 1982 Olympic Festival. Joe Posnanski, my favorite sportswriter, has the story.